“One of the reasons I wrote a polyphonic novel is that I come from a voiceless community,” Orange told Buzzfeed’s Anne Helen Peterson. There is certainly no shortage of amazing Native writers (more on that further down), but Indigenous peoples are right now searching for the next great Native literary voice — and not just for representation’s sake. 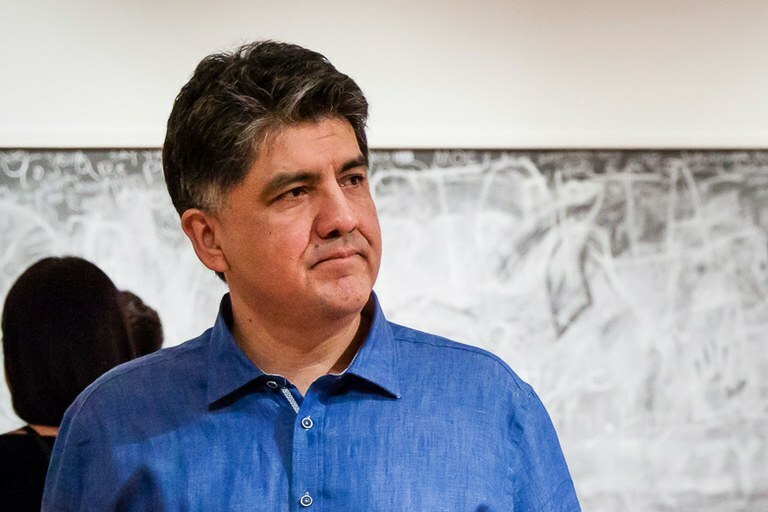 That’s one of the reasons why the recent harassment allegations against Sherman Alexie, arguably the most famous writer from Indian Country, are so unsettling and damaging. Pulling from experiences of his youth on the Spokane Indian Reservation, Alexie has garnered critical and commercial success since the publication of his 1993 short story collection, The Lone Ranger and Tonto Fistfight in Heaven. Last month, he was given the Andrew Carnegie Medal for Excellence in Nonfiction. Last week, a string of comments on a piece about sexual harassment in children’s publishing started a whisper mill that Alexie has for years sexually harassed and intimidated women. Alexie issued a statement Thursday disputing some of the claims and addressing others. It is unclear exactly what Alexie is alleged to have done, but major mainstream outlets are now digging into the story. Depending on what they find, the consequences could be devastating. Alexie not only found wide appeal through his Native heritage, he mentored and provided resources and inspiration to countless Native writers. He has had a huge impact on the Native literary world, but already his name is being removed from scholarships and children’s literature websites. Not only is Alexie accused of harming Native women for years, an already vulnerable population, he is being accused of stifling careers. Knowing that one of our generation’s most influential Native authors was harming Indigenous women while publicly trying to build others up would be a particularly heavy blow. On the other hand, it’s time for a new generation of Native writers to come to the fore. As Debbie Reese, the editor of the literary blog American Indians in Children’s Literature, wrote this week, she always felt Alexie’s work fed too much into mainstream ideas of Indigenous people, further perpetuating myth. It’s a good message — and a criticism I’ve been hearing a lot from Native authors and journalists in the wake of the recent allegations. There is a plethora of truly amazing Native writers who have been writing beautifully about our communities for generations. I’ll never forget the first time I read N. Scott Momaday’s The Way to Rainy Mountain and how different it felt to me. Along with Orange’s There There, Terese Marie Mailhot’s Heart Berries is poised to be a huge success. (The memoir’s introduction is written by Alexie, another illustration of his reach). The literary world is no different than media or politics: The more Native voices that are represented, the more useful public discourse will be around Indigenous peoples. Writers like Orange and Mailhot are adding their voices to that world.